I am so getting this, putting it on a chain around my neck and going out for coffee singing, "I can't do nothing for you, man. Flavor Flav's got problems of his own." 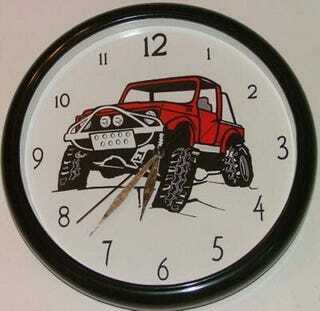 That's actually a normal morning for me, minus the 10-inch Suzuki Samurai wall clock. One AA battery not included.